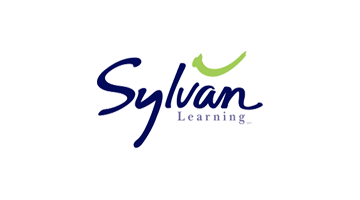 Maximize student outcomes while managing costs. 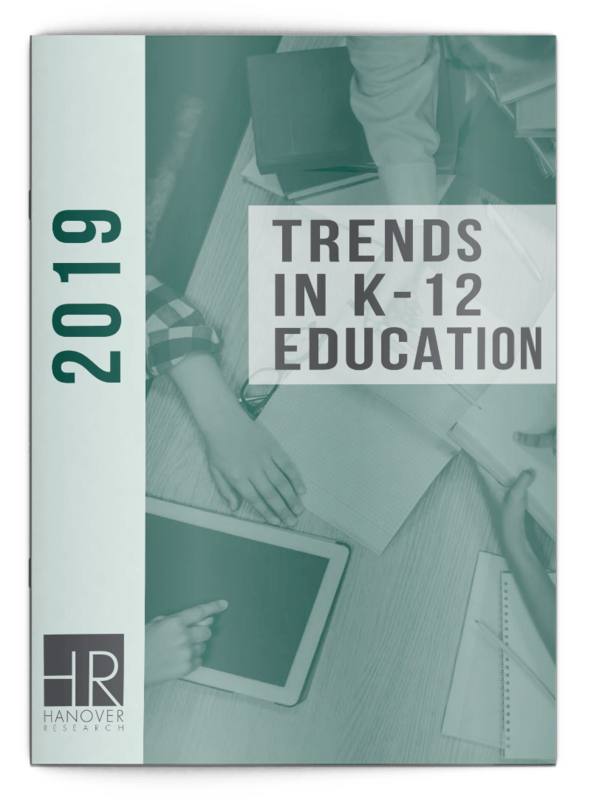 Program Evaluation Solutions provide K-12 administrators with the insight to help invest resources responsibly and intelligently. 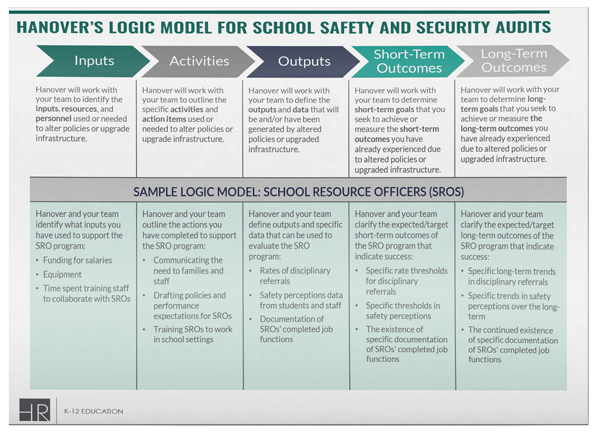 This advanced insight can support the maximization of program effectiveness, mitigation of unnecessary costs, and support student success. How much do our programs really cost? 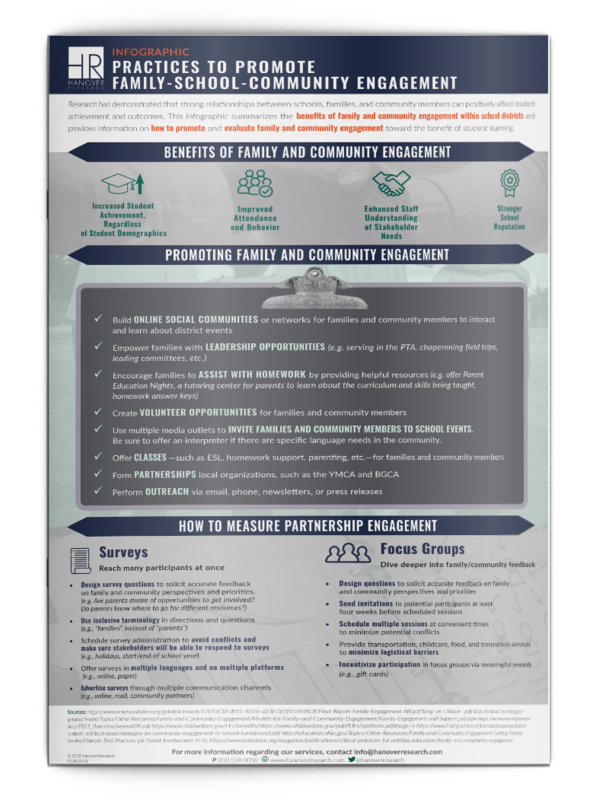 What are the impacts and benefits of our programs? 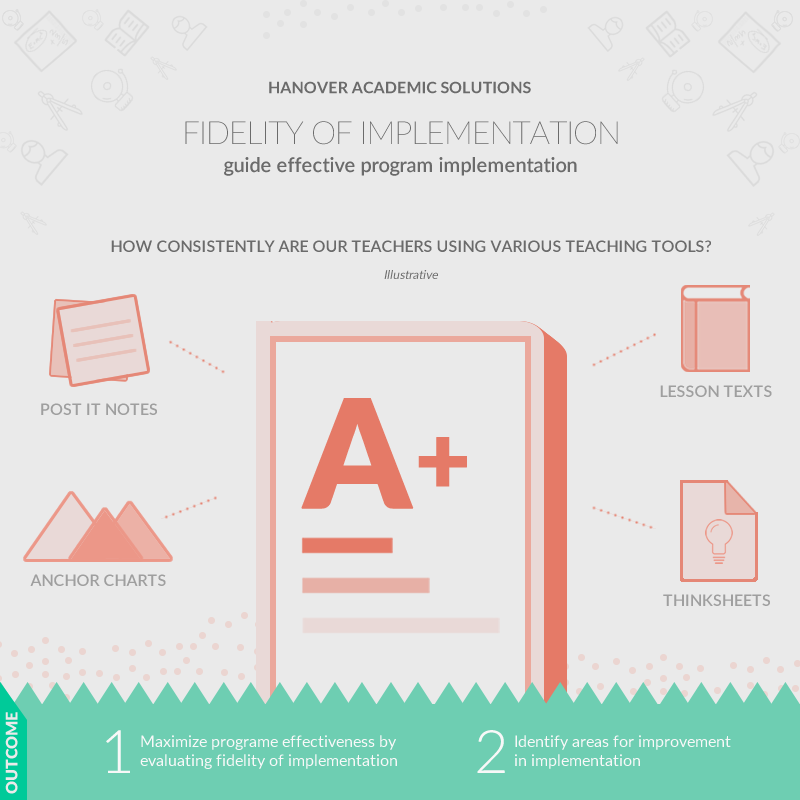 Which programs effectively maximize outcomes? 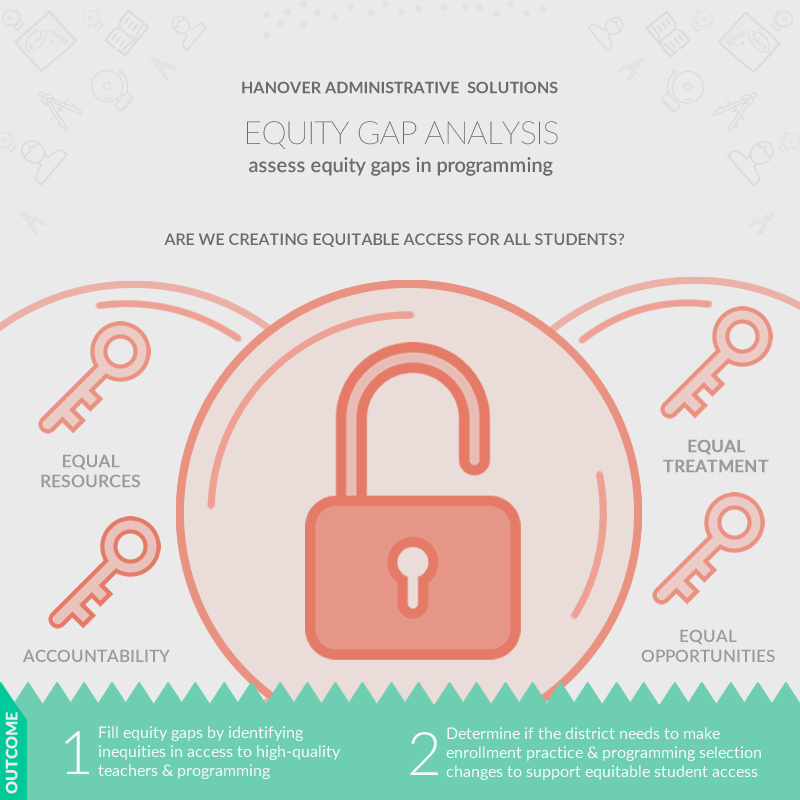 Do we have equity gaps in terms of programming or teacher implementation? 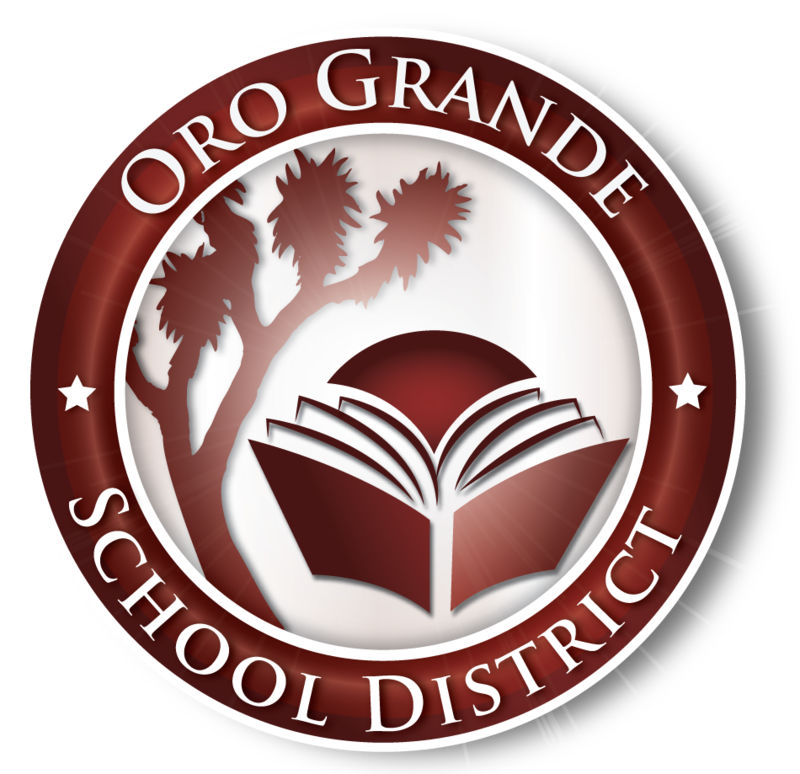 Should we pilot a program or learn about other districts’ success before launch? 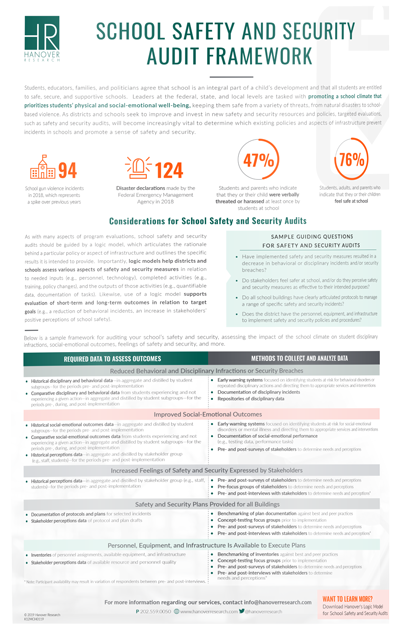 Evaluate the quantitative impact of a program on student academic and/or behavioral outcomes through an analysis of student data pre- and post-program implementation. Determine if a program is being implemented with fidelity and identify strengths and opportunities for improvement in program resources, launch, or review. 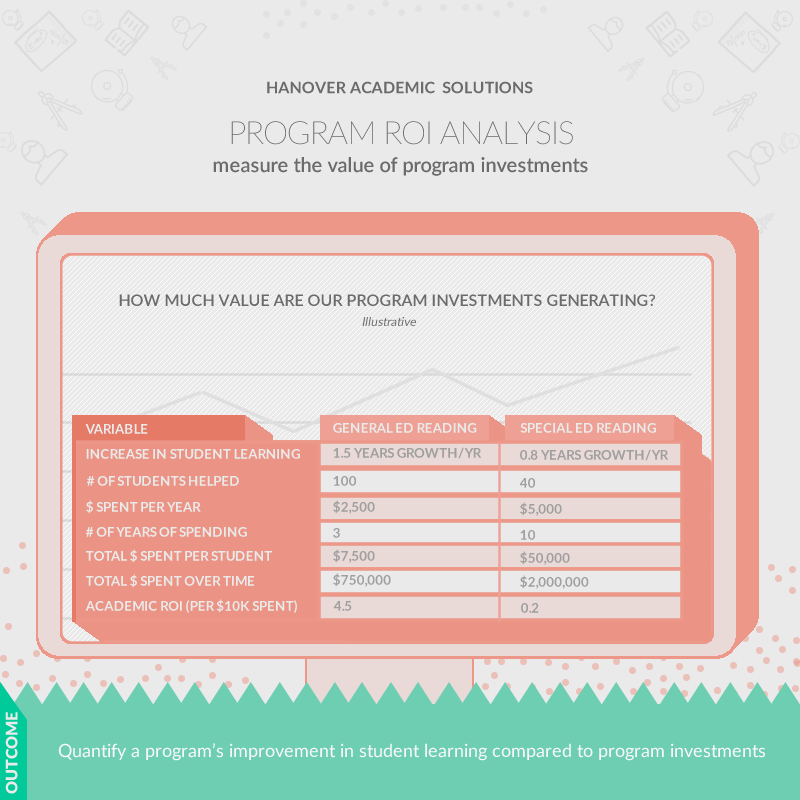 Compare a program’s impact on student outcomes with the cost of the program to evaluate return on investment and support responsible budgeting. 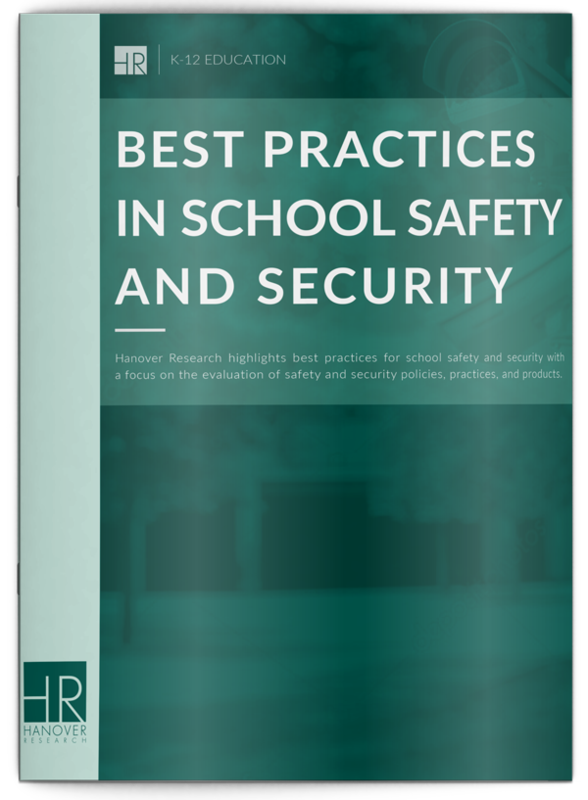 Identify gaps in access to high-quality teachers and programming between student sub-groups and pinpoints areas to improve equity and access.